If our only obligation would be to fill stockings for Christmas, what joy that would be bring! Nothing is more fun than shopping for stocking stuffers. Each year it is a welcome challenge to be more creative than the last! When putting this guide together, I could not believe all the fun items I came across! In my opinion, stocking stuffers should be useful yet kitschy and inexpensive yet creative. Below then, you will find my round-up of 20 kitschy stocking stuffers under $50. To make things as simple as possible with this guide, simply click on the image to shop the product! For the wine lover, how fun are the Wine Wipes? 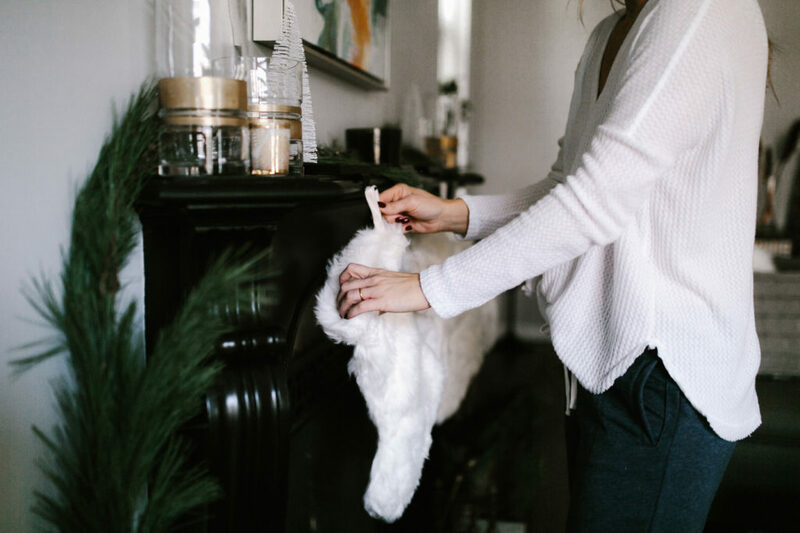 I am completely taking the velvet scrunchy seriously and love it for the holiday season! Probably the most useful gift on the guide for me is the avocado keeper! The best stocking stuffer for any female is hands down the Ryan Gosling coloring book! For the avid spirit drinker, choose the soapstone whiskey rocks. Know someone who always overpacks? Then add the luggage scale to their stocking! Finally, the gift that is perfect for every member in your family’s stocking is the copper head massager. Some funny and some useful ideas. I know a lot of people who would like whiskey stones. I love the scrunchies! Such good ideas.